Since demand in India is likely to rise exponentially, the country is likely to become a crucial market for Russia, where oil and gas revenues contribute more than half of county’s federal budget. Asia’s need for imported energy continues to expand and by 2035, the continent will account for 70 percent of net imports, according to BP Outlook 2035. Since demand in India is likely to rise exponentially, the country is likely to become a crucial market for Russia, where oil and gas revenues contribute more than half of county’s federal budget. Rosneft Chief Execitive Igor Sechin, a close ally of Vladimir Putin, recently visited India as a part of his Asian tour. Sechin assured India’s oil and gas industry leaders of Russia’s interest in long-term supplies of oil to India and even mentioned possibilities of setting up a new pipeline infrastructure. The details of any such projects were not disclosed though. At the same time it primarily infrastructure that holds back Russian energy supplies to India. During the meeting in New Delhi, Sechin mentioned potential shipments of Russia's East Siberia-Pacific Ocean (ESPO) oil blend to India's biggest refiner Indian Oil Corporation. Since India does not import crude oil from Russia on a regular basis, there is currently no set infrastructure for supplying Russian oil to India. 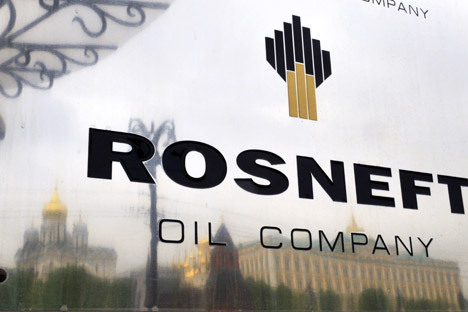 Grigory Birg, an investment analyst from Russia's first independent analytical agency Investcafe says there is an option to ship Russian oil to India either from Kozmino, an oil port located near Nakhodka, in the Russian Far East, after transporting it via the ESPO pipeline, or from the Novorossiysk port on the Black Sea. “Supplying oil to India via pipeline is a good alternative but it requires investments,” he adds. “Black Sea and ESPO options are more suitable for India; however the cost of transport through the ESPO has to be evaluated since the ESPO is one of Russia’s most expensive infrastructure projects and it charges a premium for supply,” says Amol Kotwal, Associate Director, Energy & Power Systems Practice, Frost & Sullivan. He adds that any such pipeline will require an investment in the range of $20 billion to $30 billion. Moreover, the TAPI project is yet to kick off and expected to become operational only by 2018. “It is still early days to seriously discuss a second such pipeline. The risk of the Taliban returning to power still exists and India’s complicated relations with Pakistan will most likely cause all nations involved to not commit to any such investment immediately,” Kotwal adds. Birg agrees that a pipeline parallel to TAPI sounds more like speculation. “It would be wiser to increase the capacity of ESPO and Kozmino oil terminal that would allow flexibility in supplies not only to India but other countries of Asia-Pacific,” he adds. Meanwhile India has recently proposed building a 15,000 km gas grid across Asia, the Green Energy Highway that could be an extension of the TAPI pipeline to connect gas producers such as Iran, Myanmar, Bangladesh and central Asian nations with India, China and Pakistan. The success of this project will depend on India’s ability to reach an understanding with Pakistan and other neighbours, experts say. At present India imports crude from conflict-prone zones and via major choke points. The major suppliers at present are Saudi Arabia, Iran, Iraq, Kuwait and Nigeria. Sanjay Deshpande, Director of Centre for Central Eurasian Studies, Mumbai University, says overdependence on Middle Eastern sources is risky as it is a conflict-prone area and any disruption in oil supply would have serious repercussions on India’s energy security. To diversify its supply India has invested in international oil assets, including Russia’s Sakhalin-1 oil and gas field and other project. However, larger access to Russian resources is still difficult due to logistics constraints. India in the past tried to work on pipelines connecting it to energy reach areas, for example the Iran-Pakistan-India (IPI) pipeline which was expected to bring gas to India but could not materialize because of security threats and outside powers influence in the region. Similar concerns are still arising around TAPI pipelines. The most recent concept of academics is East Siberia Indian Ocean (ESIO) pipeline that could be an extension of ESPO bringing oil from Russia’s heartland to the Indian Ocean. The project idea was recently presented at “India’s Energy Security: Focus Africa-Eurasia” summit hosted by the Centre for Central Eurasian Studies of the University of Mumbai. The pipeline may be built along two possible routes: via Kazakhstan, Kirgizstan, Afghanistan to Kashmir or directly from Russian to China and south to Indian ports. M. K. Nayyar, Vice President of CIS Projects at ONGC Videsh Limited, while addressing the summit said industry had already taken few steps to materialize new pipeline projects. “We initiated dialogues with Turkmenistan as its TAPI project is a matter of time, but it’s only the beginning. We have initiated dialogue with Kazakhstan, Russia. I am sure that very soon oil and gas from Central Asia will start coming to India,” he added. According to International Energy Agency (IEA) projections for 2011-2035, India will account for more than 18 percent of global net energy demand growth. IEA expects India’s oil imports to be larger than those of Japan by 2020 and exceed those of the European Union by 2035 while import dependence (of oil) will increase to more than 90 percent. Indian oil products demand averages about 3.4 million barrels per day. Indian refineries processed 186 million tons of imported crude during 2012-13 which accounts for 85 percent of total crude volume processed. Crude oil production was 37.864 million tons last fiscal as against 38.089 million tons in 2011-12, although the target set was to reach 40.046 million tons, according to Ministry of Petroleum & Natural Gas statistics. Considering India’s gas demands, according to BP Statistical review of World Energy, 2013, the country’s per capita consumption of natural gas is little more than 43 cubic metres while the requirement is about 100 cubic metres. The domestic production of natural gas last fiscal decreased 14 percent from the previous year to 40.6 million cubic metres while imports accounted for 17.6 million cubic metres. Analysts note that gas is a difficult commodity to transport with LNG being the only alternative to pipelines. Currently Russia has only one operating LNG facility, Sakhalin-2, with a 10 million ton per year capacity. It caters mainly to Asia-Pacific countries. Considering the demand for LNG from Asian markets, the Russian Minister of Energy projects the production of LNG will grow to 80 million tons by 2030. In its recent statement on LNG market prospects, Gazprom said it is interested in the emerging markets of South-East Asia. Since the Gazprom monopoly to export LNG was broken in December 2013 when Russia passed a liberalization law which de-monopolized LNG exports, the company is facing emerging competition from state-owned Rosneft , private Novatek and some other independent gas producers who are keen on exporting LNG. Promoting Russia’s Arctic shelf projects and seeking international cooperation in the LNG industry was an important part of the Rosneft CEO’s agenda during the recent Asian trip. Considering that LNG imports in India account for about a quarter of total gas demand, India is another strategically important market for Russia LNG exporters.